What symptoms can be treated? Homeopathic remedies are made from highly-diluted tinctures from plants, animals, and minerals and prescribed to stimulate and strengthen the body’s own healing response or immune system. Remedies are safe to take with conventional medications, while pregnant or nursing, and can be highly-effective in the treatment of common ailments that affect babies, children, and adolescents. Common examples of homeopathic remedies are Chamomilla and Belladonna, which are plant-based and often used to treat fevers, tooth and earaches, among others. Examples of mineral-based remedies include Silica and Calcarea Carbonica, which are used to treat digestive symptoms and complaints of bones and teeth, among others. There are also remedies made from the animal kingdom such as Apis (honey bee) and Sepia (ink from squid), which can be used to treat allergies, edema and menstrual problems, among others. Because the remedies are highly diluted there is no danger of side-effects, interference from conventional medications, or addiction. Homeopathy has been proven effective for more than 200 years. Contemporary homeopathy has its roots in 17th Century Germany when Dr. Samuel Hahnemann observed that symptoms from an overdose of Peruvian bark or Cinchona (the derivative of quinine) were similar to that of the malaria symptoms of his patients. He administered a small dose of Cinchona to a few select patients and observed that they recovered, and at a faster rate, than those malaria patients who did not receive the medicine. This observation began Dr. Hahnemann’s lifetime commitment to further the theory of Hippocrates, ‘in similia similibus curentur’ or ‘let likes be cured with like’, and to apply the principle of curing with similars. 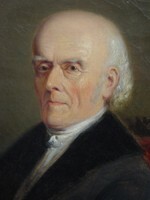 In 1810 he published The Organon of Healing Art, which would become the first comprehensive work explaining homeopathic theory, philosophy, and included information of clinical observations of more than 100 homeopathic remedies. The term Homeopathy arose from the Greek work homoios (similar) with pathos (suffering or disease). According to the World Health Organization, Homeopathy is now recognized as Europe’s leading form of complementary medicine. 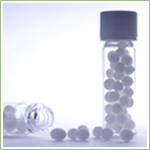 Many celebrities and world leaders have used and advocate the use of homeopathic medicines. These include eleven American Presidents (most recently Bill Clinton), seven Popes, the Royal Family, and literary greats such as Emerson, Longfellow, Wadsworth and Twain. Other fans include sports icons David Beckham & Boris Becker, and celebrities Douglas Fairbanks, Marlene Dietrich, John Wayne, Tina Turner, Paul McCartney, Annie Lennox, Moby, Catherine Zeta Jones, Jane Seymour, Michael York, Jennifer Aniston, Tobey Maguire, and Orlando Bloom, among many others. “Homeopathy cures a larger percentage of cases than any other treatment and is beyond all doubt safer, more economical, and the most complete medical science,” said Mahatma Gandhi.